Absolutely brilliant. Quintessentially Disney but with a contemporary flavour. 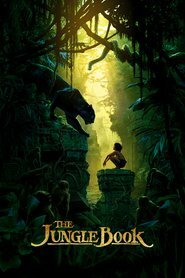 The entire movie is animated except for Mowgli wonderfully played by Neel Sethi. The CGI and animation are so realistic that you forget the forest and animals are not real - they look and feel totally authentic as if it's real life action. You've got to see it to believe it. The story is wonderfully rich and uplifting. The voicing of all the animals is perfect. There is gentle humour alongside some thrilling action sequences. There's a couple of well known songs but this movie is definitely not a musical (for which I'm grateful). THE JUNGLE BOOK is a must see in 3D in the cinema if at all possible. Totally engrossing. Don't miss it!